I like sweets but I am more partial towards savory snacks. This is one such snack that you will always find in my kitchen. 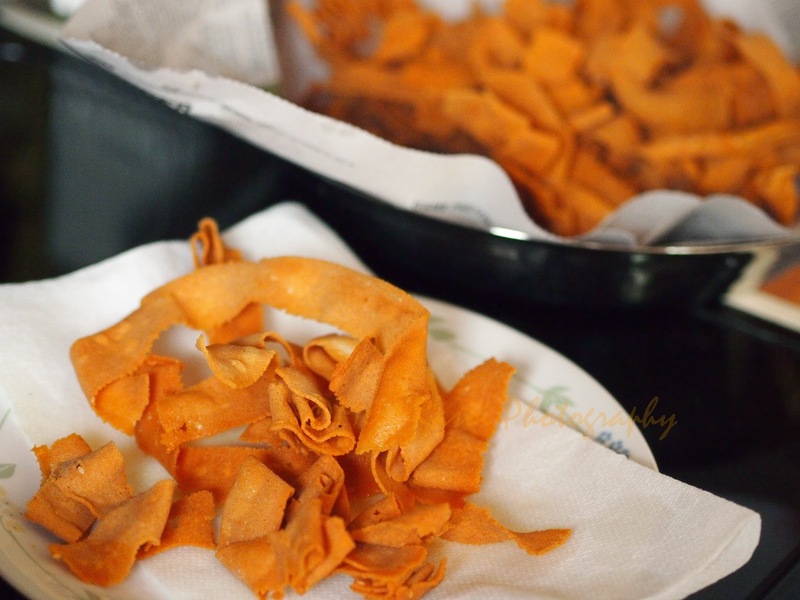 I had made these crunchy snacks for Diwali but I was so busy that never got around to taking pictures for the post. Hence made them again last week. As I said it is so easy to make , you can make it at short notice. 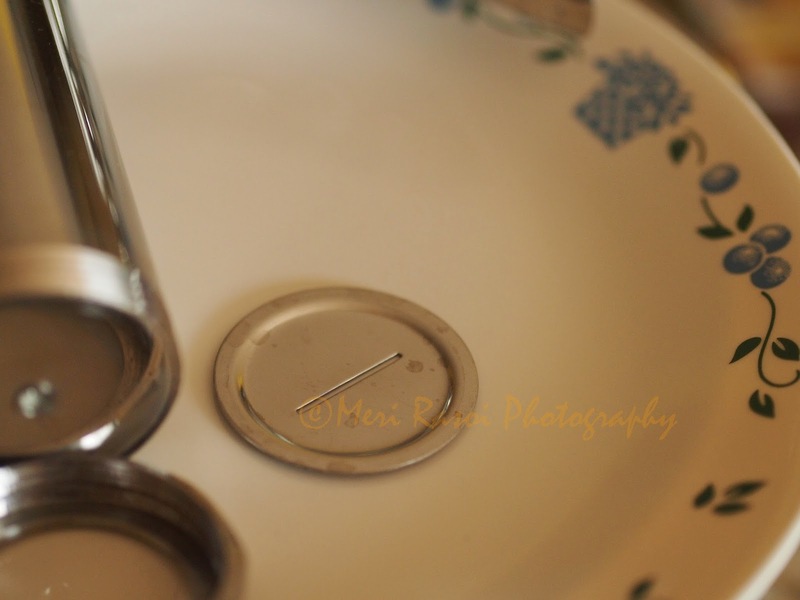 SPECIAL EQUIPMENT NEEDED: You will need a Chakli maker with the ribbon pakora mold /mould or template as shown in the picture below. This is easily available in Indian stores in alot of varieties. 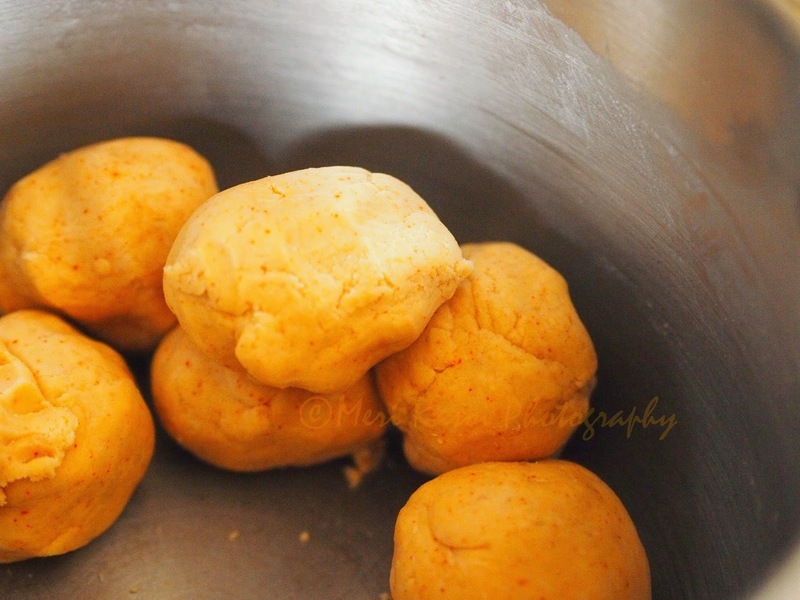 Take rice flour, chick pea flour, red chilli powder, sesame seeds ,asafoetida, softened or melted butter and salt in a mixing bowl. Mix these ingredients . 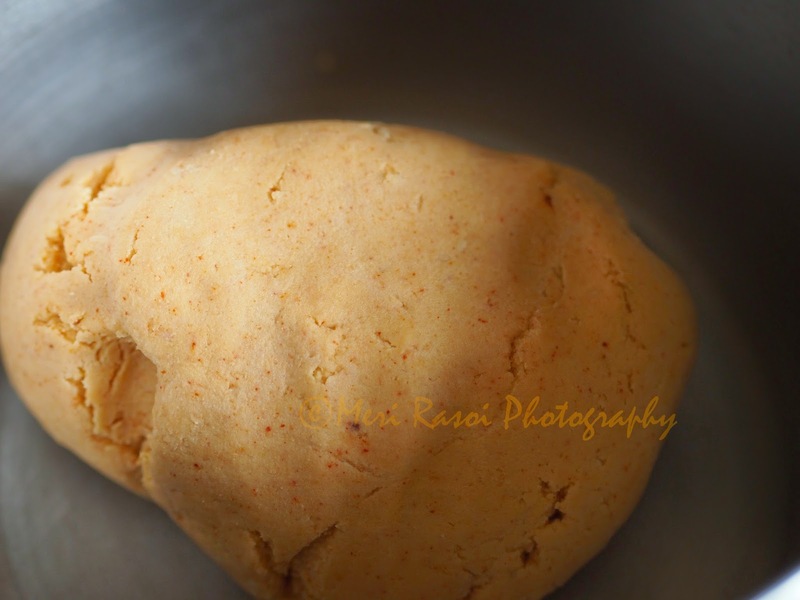 Now add water little by little to make a soft yet non sticky dough. Make small balls . Cover the dough with a moist cloth or paper towel. Heat oil in a big vessel (See Notes). Now add a dough ball into the press. 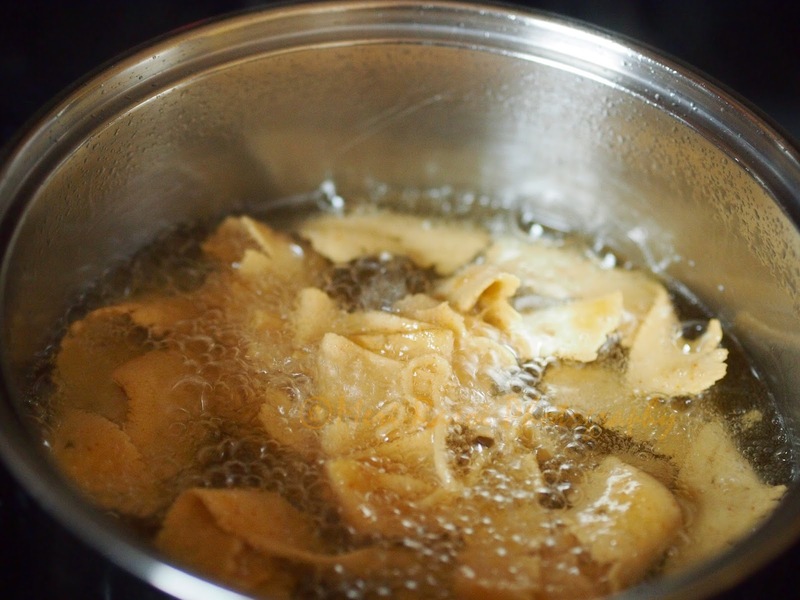 When the oil is hot (See notes), press the pakodas directly into the oil. Cook on med-high heat . As I said earlier, as soon as you drop the pakodas, they will start to sizzle and oil will bubble up. Once the sizzling stops, flip the pakodas and cook it on both sides. 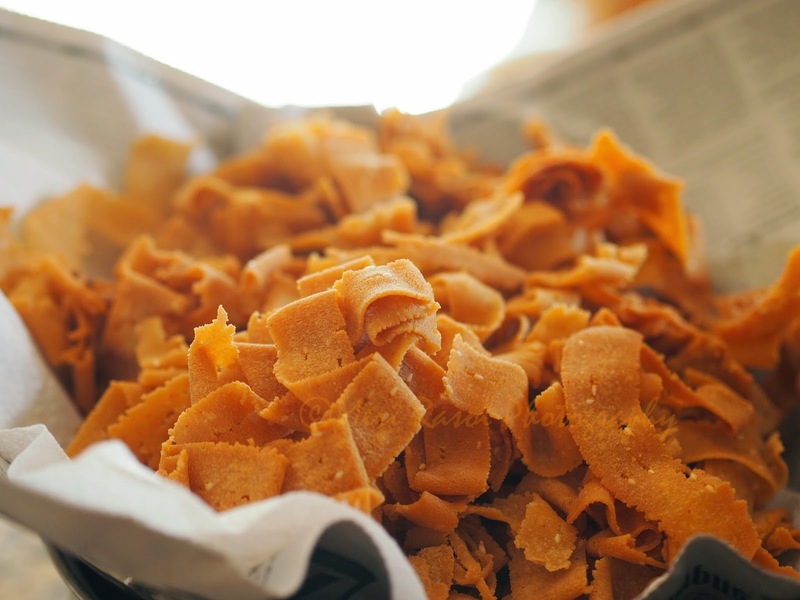 Remove the pakodas in a paper towel so as to drain away the excess oil. Repeat the same process with the remaining dough. When the pakoras have cooled down to room temperature, you can store them in air tight containers. Tastes best with a hot cup of tea or coffee. 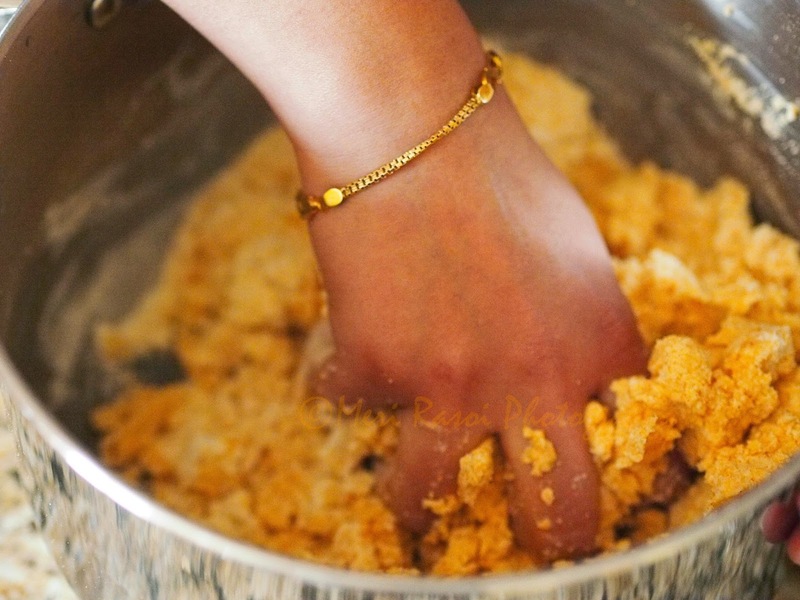 To check the readiness of the oil, drop a small piece of the dough in the oil. 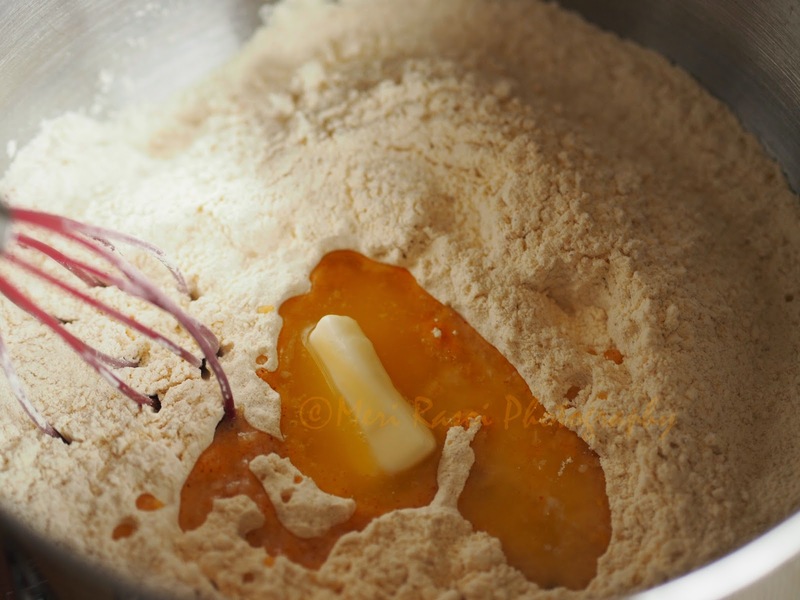 The oil is ready, if the piece of dough bounces back to to the surface as soon as it is dropped. If it sits in the bottom of the vessel, it means that the oil is still not hot enough. Instead of using red chilli powder, you can use black pepper . 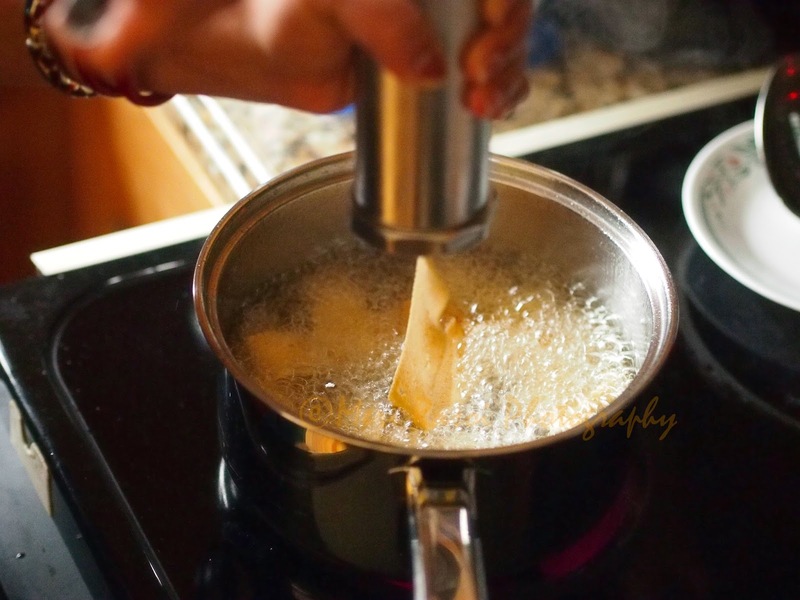 Use a big vessel for frying because when you start frying, the oil is going to bubble and come up. Hence the vessel should have enough room for the oil to bubble up. 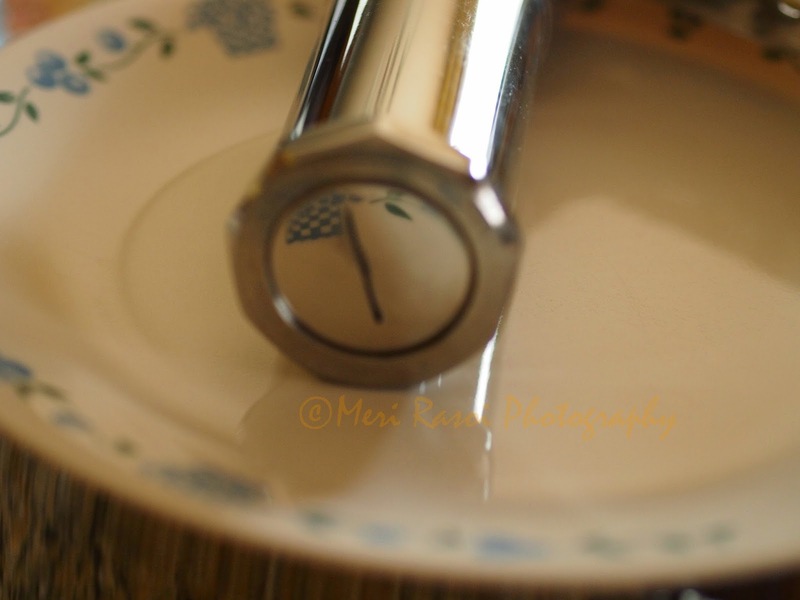 I was planning from very long to buy chakli maker, but getting skipped as what I am going to make out with that. 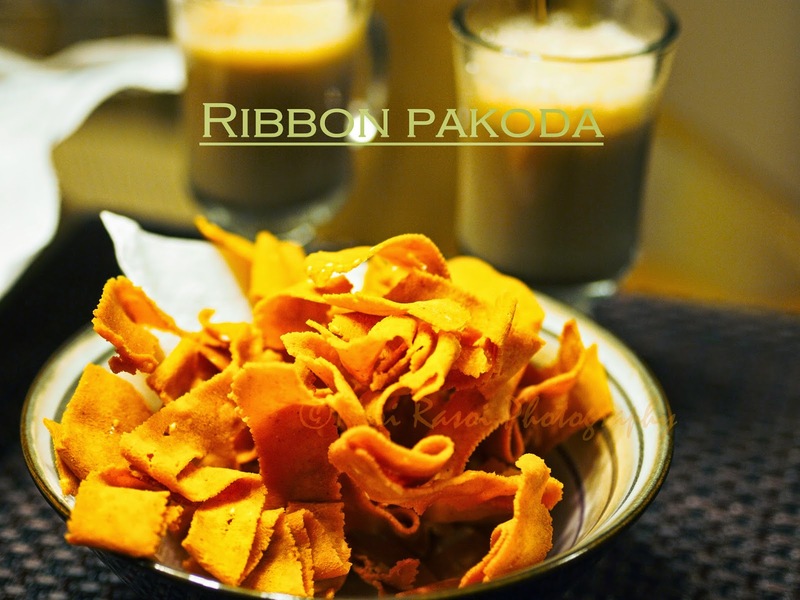 But today I got the perfect reason to pick Chaki maker and try this excellent recipe of Ribbon Pakoda. 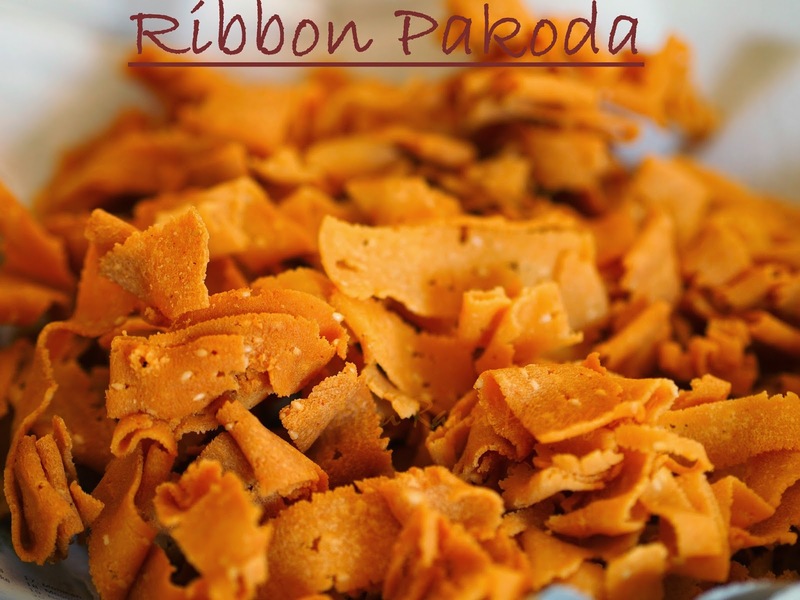 I am always inclined towards very spicy and savory food items and after referring this Ribbon Pakoda recipe, I am very sure this will be a very big hit as best home made snack item.. Keep you posted very soon..
Next time I visit India, I should get a Chakli maker.. Pakodas look so crispy and inviting..